Your business needs quality video. Bottom line. 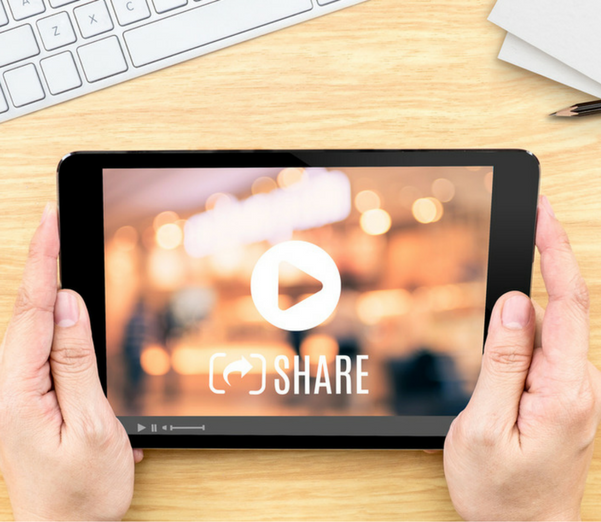 If your desire is to gain more customers, it’s time to invest in online video content. And, it’s not going to cost you an arm and a leg. It shouldn’t. Odyssey Star provides businesses, experts, influencers , medical & dental practices along with variety of other categories, quality video, along with a recommended marketing strategy–we call it an integrated media & marketing strategy. Adding “smart” video to your online platforms, that include your website, social media platforms such as Facebook and Instagram, and even your own video channel on YouTube will increase awareness of your brand. There is no doubt about it. Social Media posts that contain online video get 10times more engagement than those with simple text. Or even posts with images! Online Video will boost your SEO by improving your chances of having your website end up on the first page of Google search results by 53 times! 65% of your video viewers will watch 75% of your video. The use of email newsletters and “eblasts” to your own customer base is hotter than ever and should be part of your marketing campaign. If you include video the click-through rate doubles. Meaning, if you have a video and want to drive them to a particular destination such as your website where the email “lives”, they are twice as likely to do just that. What types of video do you produce? We offer single expert speaking directly to camera. Expert speaking off camera, interview style. Expert active demonstrating a particular element offering of the business or practice. And variety of other styles. You may choose a mix of videos in your video package. Click here to view our Video Packages. What if I am a novice with video? Will you coach me? Absolutely! Laura Lewis, our founder and president of Odyssey Star, is a former national TV host, radio host, producer, a national spokesperson for major brands and is an expert in her own right in the wellness arena. Laura has interviewed hundreds of experts as well as having provided video coaching to sports celebrities, C.E.O’s, physicians, dentists, authors, performers and many other types of experts. How do I come up with content? You are already an expert. Odyssey Star staff will help you identify key topics that should be part of your video platform for optimal brand impact online. Complete the contact form on our home page. We’ll set up a discovery meeting with the Odyssey Star Business marketing team to determine your focus of your messaging as well as schedule your video production date/s. Get ready to make an impact and rock the competition!